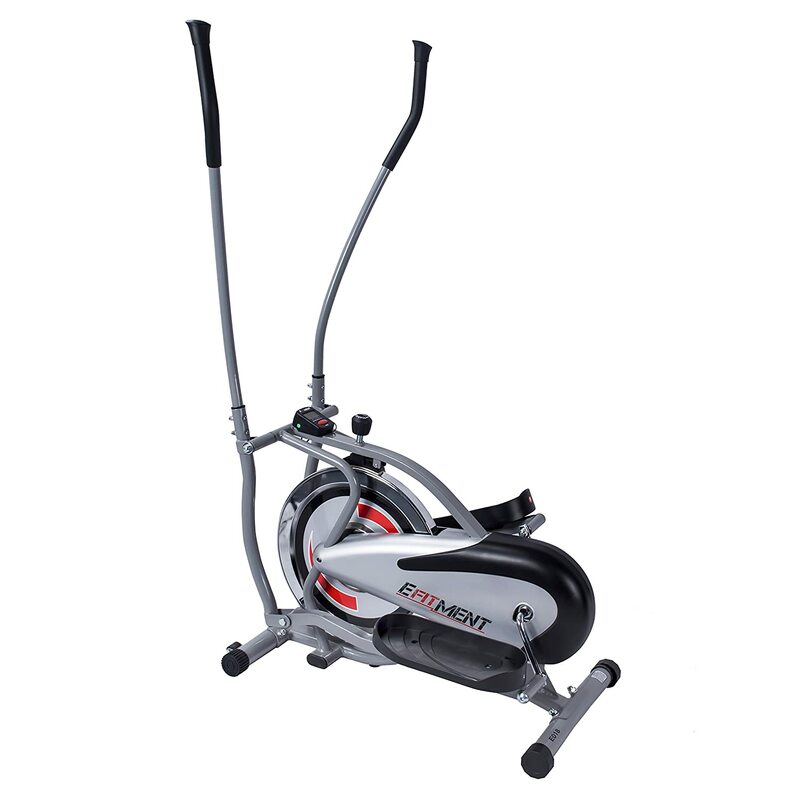 Stride your way to fitness with the EFitment E018 Flywheel Elliptical. 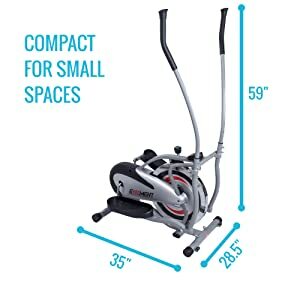 This flywheel elliptical offers the same benefits the larger ellipticals at the gym do, including a highly effective cardiovascular workout that does not stress the joints and allows you to work your upper and lower body simultaneously, saving you money and space. 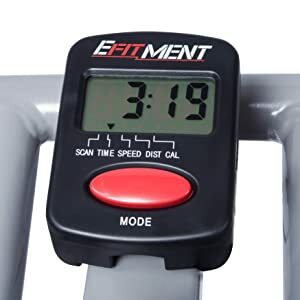 As you exercise all your major muscle groups on the elliptical — including your heart — you also burn calories at the convenience of your own home. 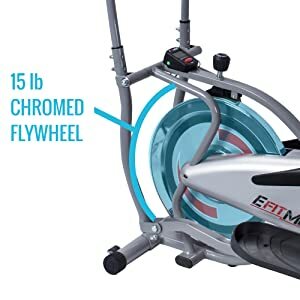 FLYWHEEL: Chrome rim flywheel weighs 15 Ibs giving a smooth, fluid, quiet and consistent ride when pedaling helping it spin more efficiently due to its weight. Front Drive flywheel for easy on/off machine access, and stair-climber workout action. 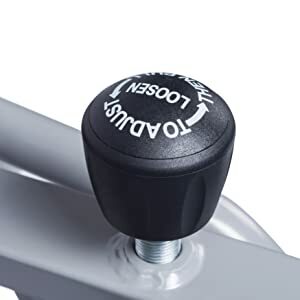 The chain drive gives a solid feel, while chain grooves create less slippage and greater energy transfer between the flywheel and pedals. 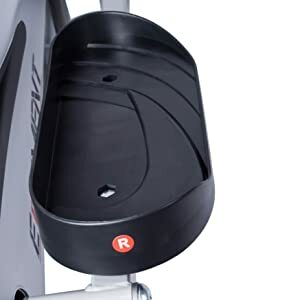 Unique flywheel design gives this elliptical a different feel. Taking a chrome flywheel from a Indoor Cycle Bike design, gives this elliptical a smoother touch with more momentum. A truly unique elliptical experience. Smaller size ideal for tight spaces. Get the workout you need, without sacrificing precious space. 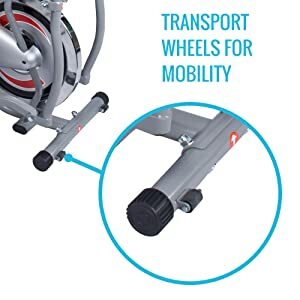 Equipped with a smooth felt fabric brake pad system allow for various tension levels providing an intense workout thus burning more calories, resulting in a toned and better you.